NASA. Audi. ABC. Lufthansa. The MTA. Beginning in the 1960s, some of the world's best-known corporate entities were immortalized thanks to the work a group of graphic designers who were responsible for introducing to the notion of "branding." And now, there's an anthology that collects them all in one place. 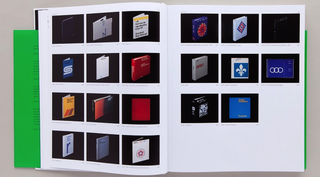 As a whole, it's a pretty unexamined part of graphic design history, which makes Manuals 1 such an awesome read. The anthology, produced by UK publishing house Unit Editions, walks you through 20 different identities, each plucked from a different year between 1961-1981. 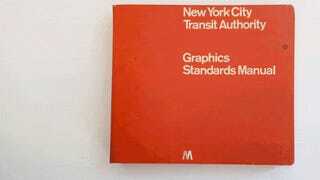 It includes the standards manual for New York City's MTA we wrote about earlier this spring, as well as lesser known manuals that are no less fantastic, all introduced with a foreword by the late Massimo Vignelli.